In the aftermath of a workplace accident in Statesville, NC, I am here to help. After involvement in a workplace accident, you may have incurred significant injuries that prevent you from going back to work for an extended period of time. Although the workers’ compensation system may be able to assist you with the expenses associated with medical care and lost wages, your employer may be unwilling to recognize your claim to these benefits. If this ever happens to you, turn to me, W. Sloan Goforth, Attorney at Law. I have tremendous experience helping injured workers like you recover after workplace accidents in Statesville, North Carolina and helping them acquire the compensation they deserve. Although you may need to primarily focus on recovering in the days following your workplace accident, it is critical that you contact me soon after it happens. In many cases, you only have a short period of time to complete the workers’ compensation claims process. If you wait too long to turn to me for assistance, you may have a difficult time fully asserting your legal rights. I realize that dealing with a workplace accident and its effects can be overwhelming, especially if you have difficulties obtaining the workers’ compensation benefits you so desperately need. When you work with me, I will do everything in my power to ensure that the process is as easy on you as possible. Please contact my office today to set up a free consultation. I look forward to meeting with you and helping you defend your rights to fair and proper compensation in the aftermath of a workplace accident. 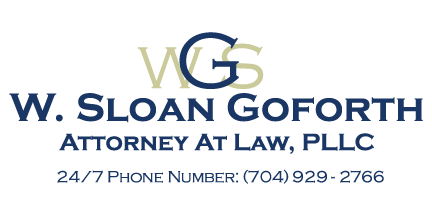 At the office of W. Sloan Goforth, Attorney at Law, we can help with legal cases regarding workplace accidents for residents of Statesville, Troutman, Taylorsville, Mocksville, Mooresville, Hickory, Iredell County, Alexander County, and Davie County, North Carolina.